IHL has been advising the hospitality community (vendors, restaurants, managed services providers and others) since 1996 in the industry-specific information technology evolution and strategy. Over the years we’ve amassed a tremendous amount of primary- and secondary-source data through first hand consulting experience in this pursuit. From this ever-growing knowledge base, offerings like our Sophia Data Service, The Worldview IT Sizing Forecast Model as well as custom research projects have been developed and successfully launched. 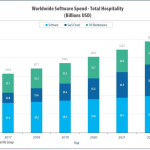 This particular report looks at the overall Hospitality Software and Software as a Service (SaaS) Market Worldwide. Who are the real leaders? What are the real rankings? Who is leading are the leaders in SaaS market by solution categories? Which vendors are leading in sales, innovation, market reach and can implement a complete Unified Commerce approach with a single view of the customer? It’s all here. Companies are encouraged to use these charts in discussions with their vendor partners. It is our intent that they provide unique insights into vendor strategy and provide thought-provoking questions as we all move though and prosper in the Era of Intentional Innovation. The IHL Insight Market View series of research studies build upon all this knowledge and add analyst insight to graphically display vendor positioning, drive for innovation and projected growth. 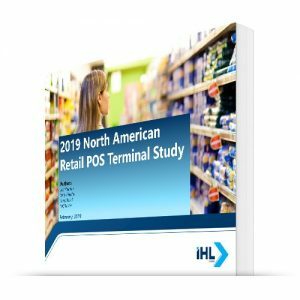 The goal of this report, as well as the entire IHL Retail Executive Advisory Program (REAP), is to provide the retail community with the most detailed and complete picture imaginable of the retail technology landscape. We do this to assist retailers in vendor selection and to help the industry understand the trends, drivers and barriers that are fundamentally transforming our industry. NOTE: This study is available individually or at a discount as part of the IHL Retail Executive Advisory Program. This is the first of several hospitality studies under the IHL Insight Market View series of research that is part of the Retail Executive Advisory Program (REAP) at IHL. 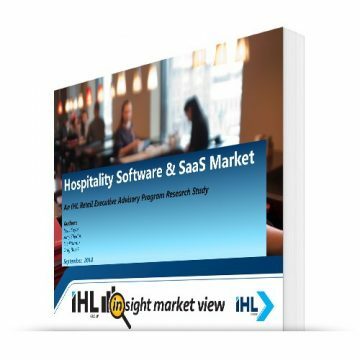 This study looks at the Total Hospitality SaaS Market. 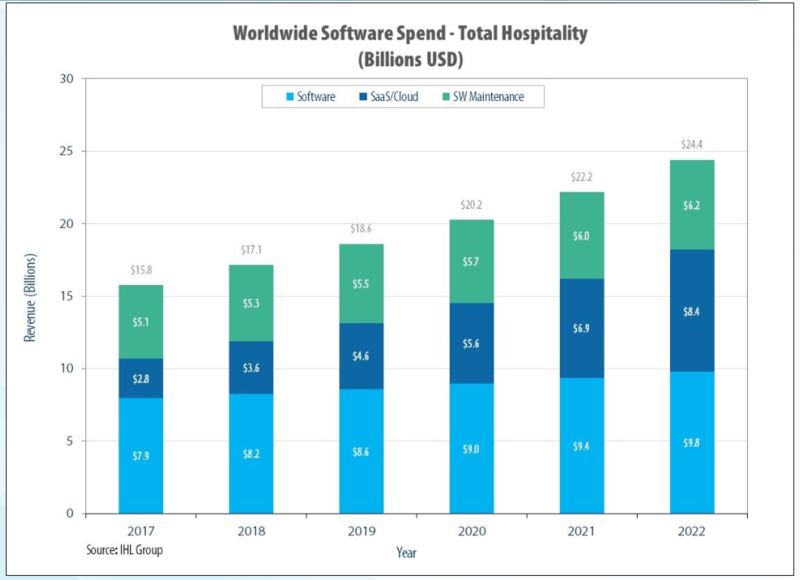 Others that are available as part of the REAP program include Hospitality Software Market, Hospitality Hardware Market and then finally Total Hospitality Store Systems Market. Readers of this research will get a forecast for Software Licenses, Software Maintenance, and Software-as-a-Service. In addition, we size the market by Line of Business Categories ranging from Business Intelligence to eCommerce to Merchandising and Supply Chain to Marketing to Store Systems; 10 LOB categories in all. Breakouts are included for Fast Food, Bar/Restaurants, and then Other Hospitality which is inclusive of Lodging, Casinos, Cruises, Theaters, Theme Parks, Museums, Stadiums and other formats. Next we provide rankings for combined Software and SaaS, Software and Maintenance, and then just SaaS on its own. Then we discuss market trends, drivers and market barriers. The IHL Insight Market View Map then positions vendors against each other in a 3-dimensional quadrant view. The upper right quadrant shows someone who is a leader in market strength and also in growth, innovation, and unified commerce coverage. What is unique about the IHL approach is we also add a further dimension of market share scale so you can not only see who is in what quadrant, but how strong they are as well. This is ideal as executives review their market position and consider competitors and acquisition candidates. Finally, we provide market profiles on the top 15 software providers by revenue. Each profile includes total revenues, revenues by hardware, software, SaaS, and services, revenues by region, and revenues by Line of Business Category. In addition, the profiles include merger and acquisition information as well as key clients. The data, forecasts, and positioning maps are provided Worldwide as well as a deep dive on North America. What makes this research different and more rigorous is that it is based on a very sophisticated and highly objective research model. 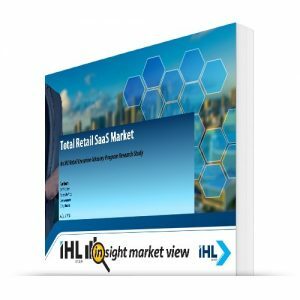 It allows vendors, retailers and analysts to see who are the real leaders in retail software, true software market rankings, who is leading in the fast growing software-as-a-service market, and which vendors are leading in sales, innovation, market reach and can implement a complete unified commerce approach to retail. What Segments Constitute Your Definition of Hospitality? We use the following segments to define Retail and some examples. This research uses all of these segments. NOTE: In this research Lodging and the two Entertainment categories are combined for forecasts and software positioning for the sake of report brevity. Separate breakouts are available as part of the subscription. What types of SaaS are included? Is this put together by primary research, secondary research? Yes, all of the above. We utilize our Sophia Data Service, WorldView IT Sizing Forecast Model, custom primary and secondary research and vendor interviews to put this together. Contact us and we would be happy to go over the methodology with you. Yes, if your company has an advisory relationship with IHL, you can share internally. With written permission from IHL we allow certain components to be shared externally. However, as a standard rule IHL research studies and content cannot be shared externally with clients and partners. That being said, we are open to individual queries and do make exceptions for marketing purposes with the appropriate licenses. Once again, we just ask those be made in writing to ihl(at)ihlservices.com. This research is available individually or via a subscription of our Retail Executive Advisory Program. Please click here or contact us at ihl@ihlservices.com and we can customize a program specifically for your company. The core offerings are the following: (Click photo to enlarge).